Fanny GOSSE Born in 1975 in Paris. Lives and works in Bagnolet. Studied at the Beaux-Arts of Toulouse, then master of Philosophy of Art in Paris I.
Echo is a series based on memory - or rather on the distortion, interpretation, or even the invention of a memory. Initially, I use a vernacular photo that I enlarge. Photo tracing an event, characters, a place that I have known but which may also have been just told me. I leave this photographic base to "rework" the memory. Embellish or torture, deform, recreate an environment, so that it does not disappear, but it leaves a different trace. A little like the echo that comes from far, crosses the time but sounds almost imperceptibly differently at each repetition. It is a question here of treating the non-objectivity of the transmission, thus of the history of each one. I rework these photos in acrylic, which applied in successive layers allows transparency (so to make appear hidden things), pencil and ink. Elizaveta KONOVALOVA Born in 1986 in Moscow. Lives and works in Paris and Moscow. Graduated from the Ecole des Beaux-Arts in Paris, currently doctoral student of the interdisciplinary research program SACRe (Science-Art-Creation-Research) led by PSL University and the School of Fine Arts in Paris. 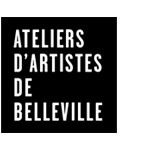 Represented by Galerie Maubert, Paris. San Francisco, pinhole, contact print from paper negative, 190 x 250 cm; wooden bench 50 x 60 x 190 cm; various documents. This project deals with the connection between two cities on the opposite shores of the Pacific: Vladivostok and San Francisco. The match comes for the first time in 1959, when Nikita Khrushchev, fascinated by America after his first trip, says that Vladivostok will one day become the second San Francisco. Since then, the aspiration towards the other side haunts the imagination of the inhabitants. This fantasy fades with Soviet urbanism. However, the image of San Francisco revives and fits into the landscape of Vladivostok with the Roussky Bridge, erected in 2012, instantly recalling the famous Bay Bridge. Paradoxically, the most sought after view of the bridge opens from the half-empty parking lot. San Francisco seeks to define the spirit of the place in this face-to-face, where the two landscapes - the near and the far - coexist and contradict each other at the same time. The central element of the installation is the shooting, carried out by a garage transformed into a pinhole camera - the "postcard" view produced by the back of the set. Rebecca TOPAKIAN Born in 1989 in Saint Mandé. Lives and works in Paris. Graduated from the National Photography School of Arles in 2015. 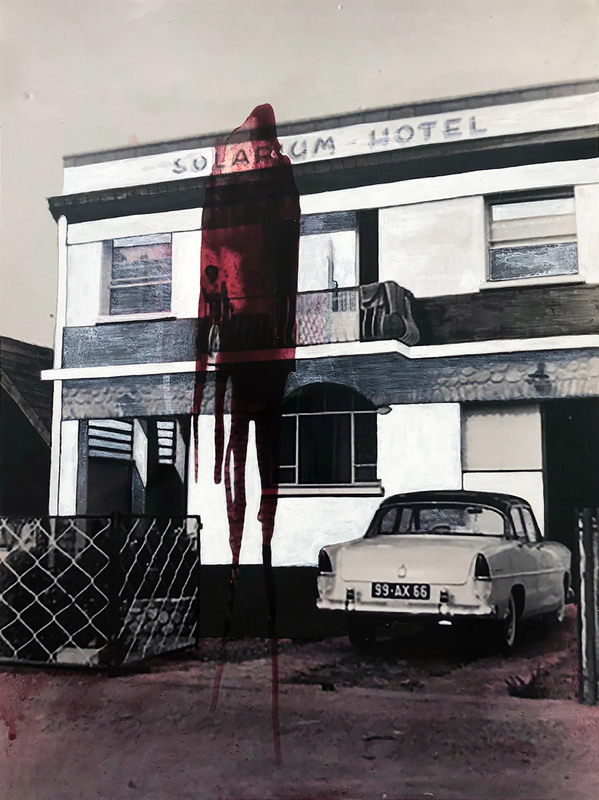 Playing on the boundaries between documentary and visual forms, his work seeks to capture the possibility of representing personal identity in its relationship to the group, community or collective history through a sensual approach. Lady Gulizar and other love stories, 30 x 40cm and 60 x 70cm photographs (Hahnemuhle frosted paper prints on framed paper), 120x140cm (inkjet prints on semigloss paper). Obsidian stones. In order to Lady Gulizar and Other Love StoriesRebecca Topakian's starting point is the unique story of her Armenian family, who lived in Turkey before her grandfather emigrated to France. The love of his great-grandparents - Garabed and Gulizar - forbidden by their parents, until the removal of Gulizar by Garabed, came looking for her on his horse. This almost mythological account brought her to Armenia, where she confronts a romantic and fictional vision of the motherland with a very contemporary image of Armenia. Landscapes like portraits of Armenian men speak of desire: that of a modern Gulizar who, rather than kidnapped by his lover, becomes a desperate subject in the context of a patriarchal society; but also a desire for identity, which is expressed in the search for typical and familiar traits. 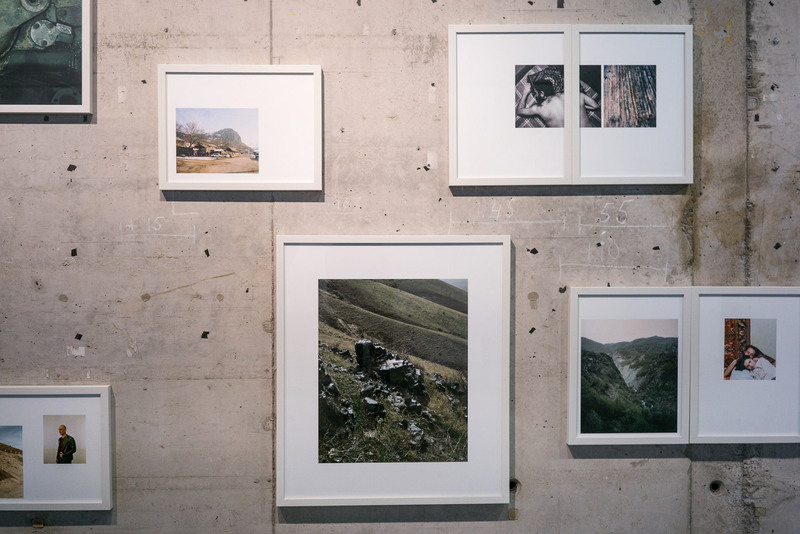 By borrowing from different photographic registers - snapshot, documentary, studio portrait or photography of the intimate - that she mixes in a constellar hanging with family photos that she drew on local stones picked up during her strolls, she offers an intimate and impressionistic portrait of Armenia today. 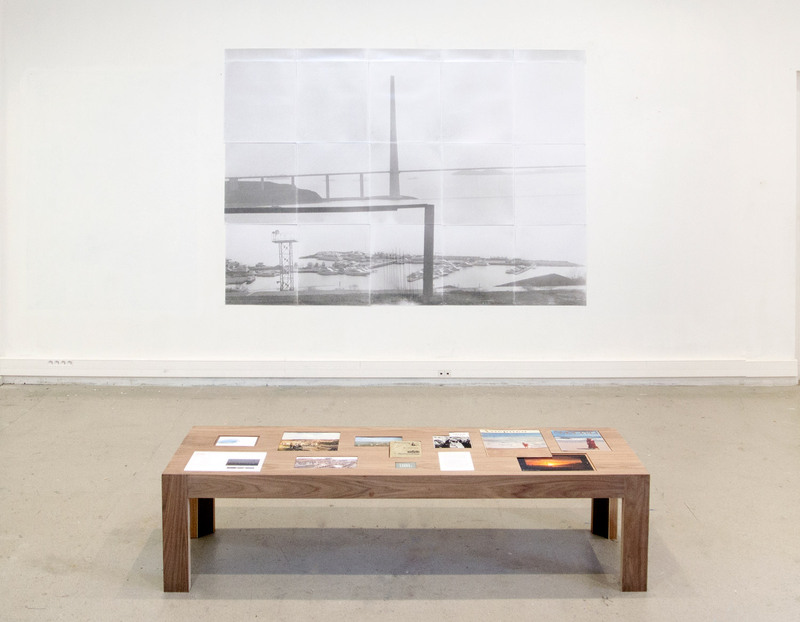 Elizaveta-Konovalova, San Francisco, pinhole, contact print from the paper negative, 190 x 250 cm; wooden bench 50 x 60 x 190 cm; various documents.